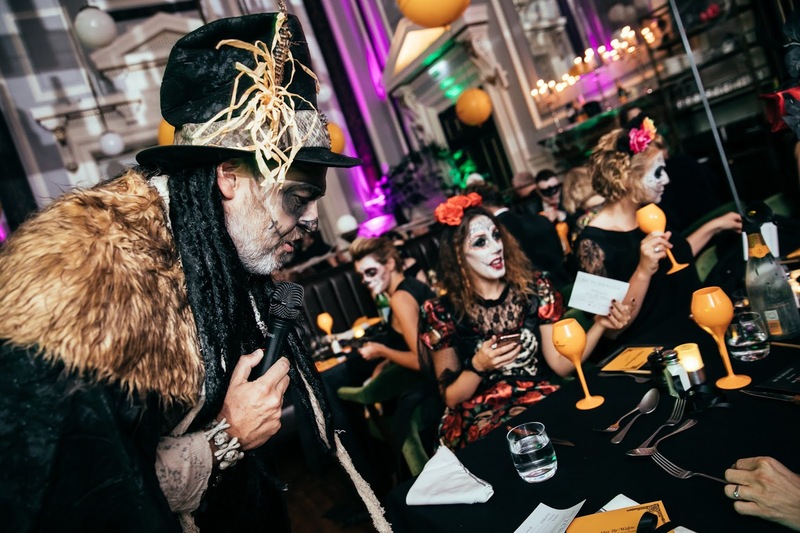 Hutchesons City Grill, located in the heart of Glasgow’s Merchant City, is gearing up to host its darkly renowned Meet the Widow party in association with Veuve Clicquot on Sunday 28thOctober, and it is set to be the most glamorous Halloween party of the year. This year’s theme is Seven Deadly Sins, which draws inspiration from Vogue’s 25th anniversary film featuring style icons Kate Moss and Naomi Campbell. Following in these fashionista’s foot-steps, whether they are channeling lust or envy, guests will be asked to show off their sins in style as they walk the black carpet. As Veuve Clicquot’s flagship venue in Scotland, Hutchesons grand interior will be transformed into a haunted mansion. Upon entering, dinner guests will be able to indulge in a decadent three-course menu while deathly staff serve up the finest champagne and canapés to those who dare. Meanwhile, the evening’s entertainment will keep attendees on the edge of their seats with high-class acts making appearances throughout. Located on Ingram Street in Glasgow, Hutchesons is a restaurant and bar like no other. Spread over three floors, the restaurant provides a hauntingly elegant setting in which to sip champagne and dine on the best of Scottish produce. The party will open its doors at 6:30pm on Sunday 28th October, tickets start at £140 for two people and include a three-course dinner and a bottle of Veuve Clicquot Yellow Label.